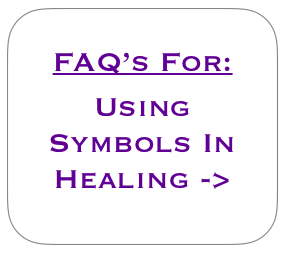 Are Symbols Supposed To Be Kept Secret? There are some Reiki Masters who teach their students that the symbols should not be shown to others and should be kept quite secretive. We believe the symbols to be sacred rather than secret which means that we should always treat the symbols with respect, love and gratitude. It is always our intention to spread these teachings to wherever they are needed so the word secret is not something which overly resonates with us. May all beings benefit from the beauty of these practices so that we may all be free from suffering! It is with this intention that we openly share information about the general nature of symbols, how we can practice with them as well as providing our courses freely and with love. We wish and pray that all beings can feel the bliss, love and light of the divine hand in their meditative selfhealing practices so that they may benefit others.